Lakeside had three leaders in the Christian, Jewish and Islamic faiths as speakers for the Interfaith Week. S. Amjad Hussain, M.D., spoke on Islam. Dr. Hussain is a retired cardiovascular surgeon and professor emeritus of the College of Medicine at the University of Toledo, a past president of the Islamic Center of Greater Toledo and on op-ed columnist for the Toledo Blade. 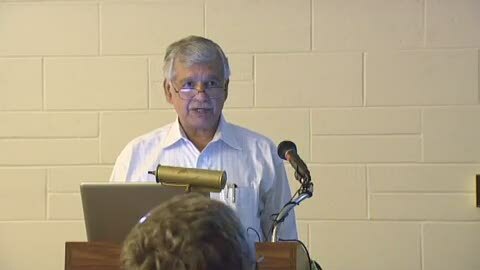 Dr. Hussain was born and educated in Pakistan and has spent much of his adult life in the U.S.
Dr. Hussain's lecture was "Can Prayer Alter the Course of a Disease". Throughout time, the power of prayer has been questioned by science. Proponents have argued that prayer is the most deeply human response to disease, and that it may relieve suffering by some mechanism not yet understood. Skeptics say that studying prayer is a waste and presupposes supernatural intervention, putting it beyond the reach of science. Medical scientists have produced several studies examining the effects of prayer on physical health.